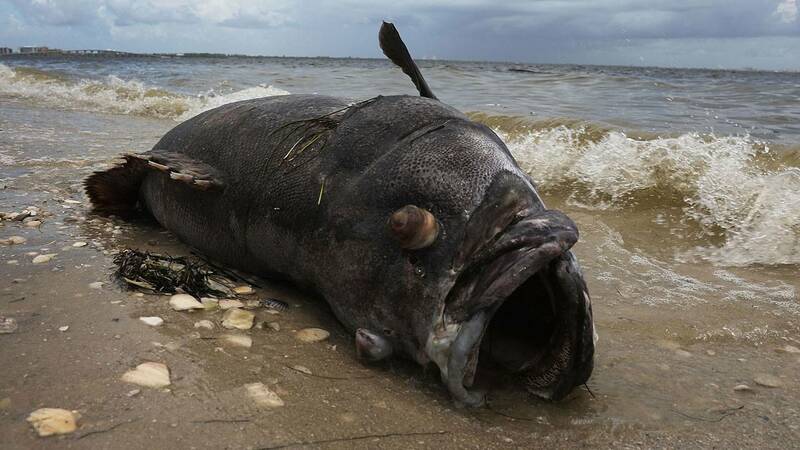 Why are dead sea animals washing up on Florida beaches? 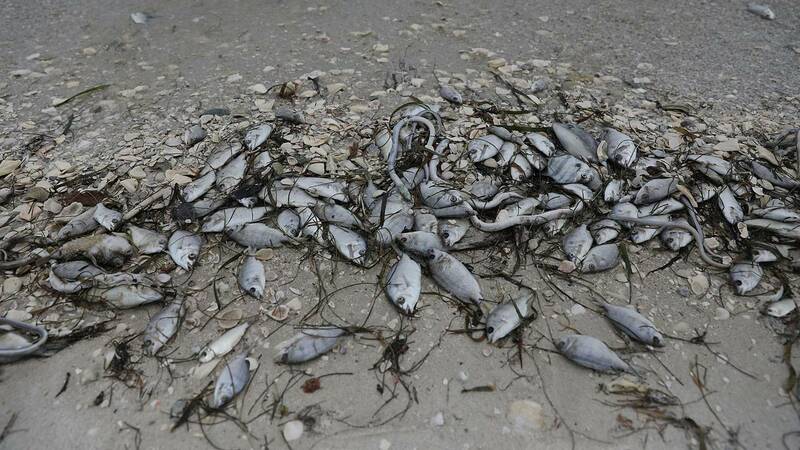 FORT MYERS BEACH, Fla. - Eric Rauch went out for a walk in Fort Myers Beach and he said it smelled like death. Piles of dead parchment tube worms were tangled over and under fish. There were dead stingrays and puffer fish with big thorns. Sea turtles, sharks, dolphins, tarpon, goliath groupers, seabirds and seahorses also turned up dead on the beach in late July. A man who harvested about a dozen clams from Fort Myers Beach and later ate them was reportedly hospitalized on Wednesday for poisoning. There were dead manatees at the Cape Coral Yacht Club on Tuesday. The carcass of a 26-foot-long adult whale shark washed ashore in June on Sanibel Beach. 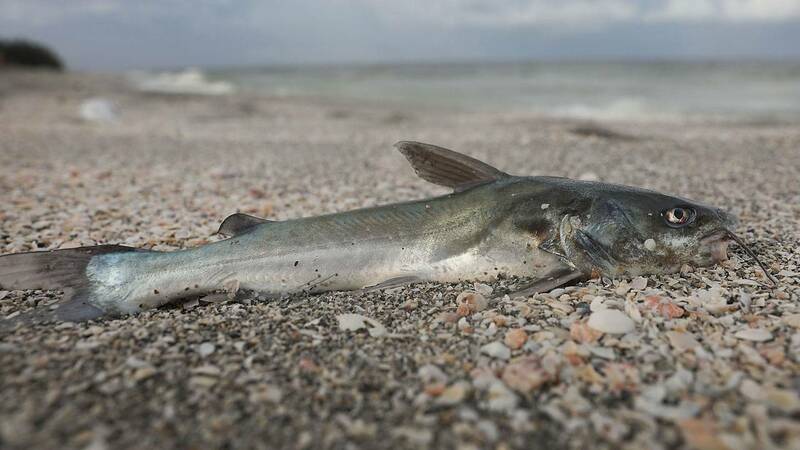 Aside from Lee County, there were also reports of fish kills in beaches in Sarasota, Charlotte and Collier counties. "This is the most heartbreaking thing I have ever seen," said Rauch, who lives in South Carolina and was on vacation in Fort Myers Beach. 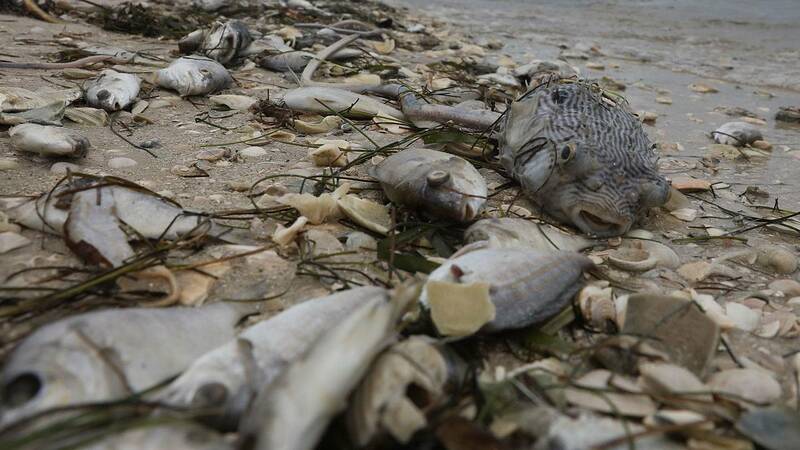 Scientists believe the combination of a toxic algae bloom coming from a freshwater river and the red tide, a toxic algae bloom at sea, could both be to blame for the mass mortality event. This year's red tide is the longest continued bloom on record since 2006. 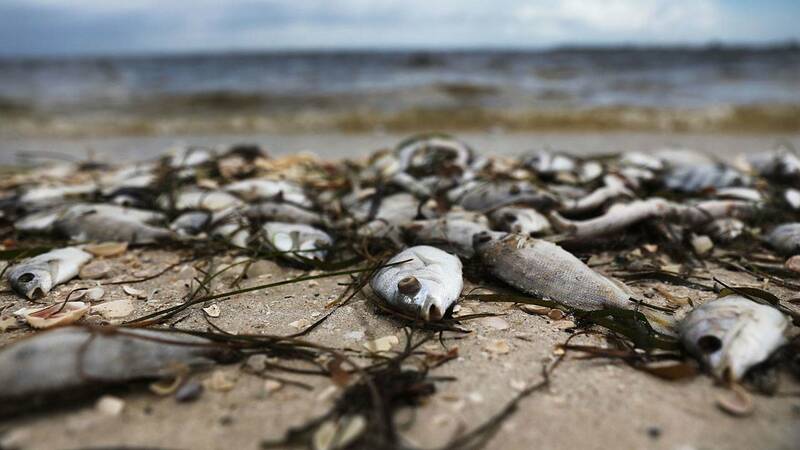 "Born and raised in Florida and I've never seen it this bad," wrote Matt Devitt, a meteorologist for Wink in Fort Myers referring to this year's red tide as an "ecological disaster." 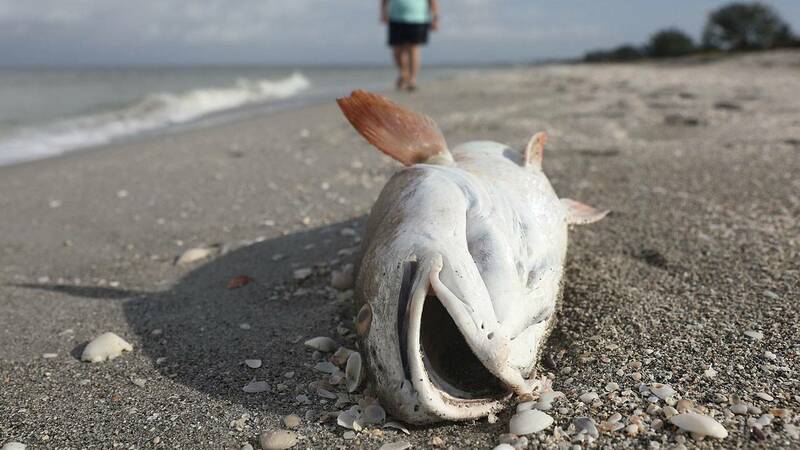 The beach in Fort Myers where Rauch was when he decided to film the dead fish is near the mouth of the Caloosahatchee River, which has a slimy mess coming from Lake Okeechobee, the nation’s second-largest freshwater lake and an important resource for the agricultural industry. The Environmental Protection Agency reports animal manure, excess fertilizer and soil erosion make agriculture one of the largest sources of nitrogen and phosphorus pollution in the country. This nutrient pollution, according to the EPA, leads to more severe and frequent algal blooms. The U.S. Army Corps of Engineers is tasked with the lake's flood control and water supply for agricultural uses. Col. Jason Kirk said in a statement that water releases affecting Lake Okeechobee into the Caloosahatche River reduce "the flood risk that a rising lake presents to people living and working around it." Rick Bartleson is a scientist who researches water quality for the Sanibel-Captiva Conservation Foundation. He believes the land-derived nutrients can exacerbate the red tide, which has also been killing animals in estuaries along the coast, where Lake Okeechobee releases don't go. 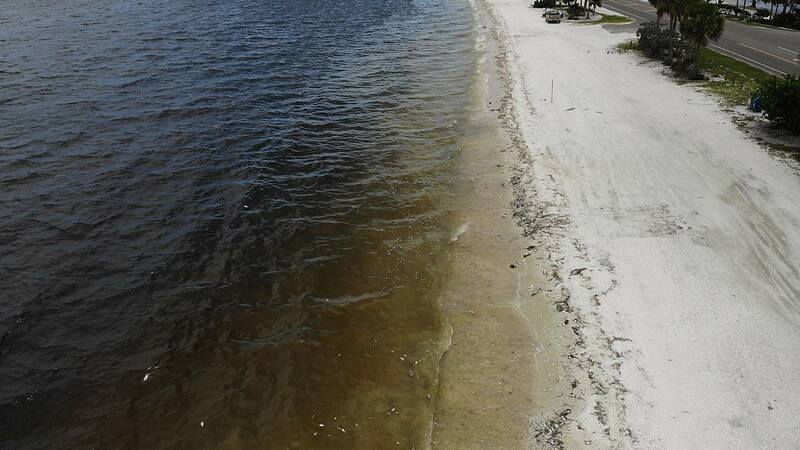 "The Army Corps of Engineers water releases from Lake Okeechobee contribute nutrients that support toxic algae blooms that are killing the fish and other animals that are washing ashore in the Caloosahatchee estuary," Bartleson said. During a public meeting at Cape Coral on Tuesday, Lt. Col. Jennifer A. Reynolds, of the U.S. Army Corps of Engineers, said water quality is actually the responsibility of the state and the toxic algae was also annoying her, because it was getting in the way of implementing projects to improve the system. Gov. Rick Scott, who is running for Senate against Sen. Bill Nelson, declared a state of emergency in Glades, Hendry, Lee, Martin, Okeechobee, Palm Beach and St. Lucie counties "to help combat algal blooms caused by Lake Okeechobee water discharges from the Army Corps of Engineers." Scott's declaration allowed the South Florida Water Management District to waive restrictions to store water in other areas. The Trump administration approved a new Everglades reservoir to store more water south from the lake, but Congress must approve those plans. Maj. Joseph Sahl reported on July 26 that the water releases to the Caloosahatchee and St. Lucie Estuaries that began on June 1 and were briefly suspended on July 8 had produced close to a foot in storage in Lake Okeechobee that wouldn't have existed without the discharges. "This additional storage could prove vital in the coming months should tropical weather influence the area," Sahl said. Scientists learned the high concentrations of Karenia brevis, the harmful plant-like organism that is responsible for harming the aquatic food chain, was to blame for the death of the male whale shark that washed ashore on Sanibel Island. The Florida Fish and Wildlife Conservation Commission reported the toxin was also causing people respiratory irritation at beaches in Sarasota, Lee and Collier counties. 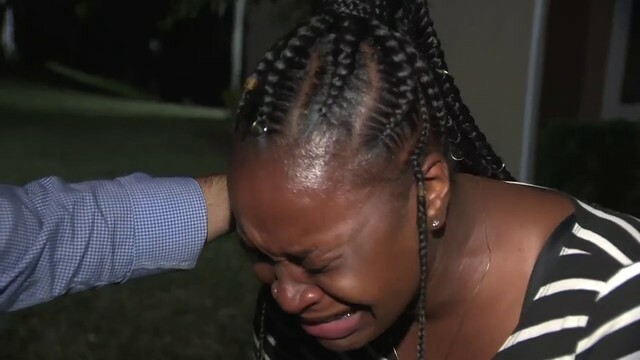 Diana Matthews, the office manager of the Florida Sportsman, told The Palm Beach Post in late July that there were employees in Stuart complaining of headaches, coughing, runny noses, nauseousness and stomach problems. "I was out of the office last week and I was thinking people were just imagining things, but by the end of the day my throat was so scratchy and I couldn’t stop coughing," Matthews told the Palm Beach Post. "I realized it wasn’t imaginary." Some of the symptoms people reported included eye irritation, sneezing and coughing. People with asthma, emphysema or other respiratory conditions are more vulnerable to the airborne toxin. National Oceanic and Atmospheric Administration scientists issued warnings for coastal residents in both Florida and Texas. Scott also ordered the Florida Fish and Wildlife Conservation Commission and the Department of Environmental Protection to invest more on water testing. They continued to receive reports of fish kills on Thursday. Local authorities set up dumpsters for residents to help with the disposal of the dead fish. Environmental activist Erin Brokovich wants local, state and federal authorities to do more. She used social media to send a message on Tuesday. "What are you doing? What are you thinking? Are you just really going to stand by and stand down and watch this destruction?" Brokovich wrote. "You cowards! People are sick! The ecosystem, the marine life is dying! Do your d---n jobs and get off your a-- and help your people, your state, our environment. This is so wrong, at every level, that there are no words to describe it!" Not everyone is blaming it all on public officials. Bartleson is among the scientists who believe that last year's Hurricane Irma exacerbated the red tide, which is abundant on the west coast of Florida mostly during September to February. "The high freshwater and nutrient loading rate from all along the coastline after Irma enriched the near-shore Gulf sediments, which help feed the bloom and keep it going," Bartleson said. NOAA's Friday harmful algal bloom forecast for coastal areas of Sarasota, Charlotte, Lee and Collier counties was high. For more information or to report fish kills, call the FWC Fish Kill Hotline at 1-800-636-0511 or submit a report online.